Our Toastmaster was Dianne and our Theme was Remembrance. Zenon was our Grammarian and challenged us to use the word Reflective throughout the meeting. He provided 3 different uses of the word. During introductions Dianne asked that we speak about Remembrance and in particular what Remembrance Day means to us. We were all reflective as we spoke about our Family and Friends that were in the war or are at war today and how we are all grateful for our freedom and pursuit of world peace. Randy gave an interesting speech, and drew many laughs, titled “Diplomas, Dawdlers and Dropouts” which explained how the University is a business and depends on student growth, (numbers and knowledge). This was Randy’s 8th speech and he was successful in his delivery looking quite comfortable using his visual aids. Way to go Randy! Cathy (moi) was our Table Topics master and asked Irina to discuss Victory in her life. Irina spoke of her Grandparents and their many victories after surviving the war. Then Ru got up to speak about how she “pays it forward” with small kindnesses and their importance to peace. Cathy presented 2 new TM pins to our newest members Ru and Graham (MIA) but we’ll get Graham his pin next week! We welcomed 3 guests, Michael, first Toastmasters meeting ever and Amy who joined us for a second time, and then there was Tiernen, my fourteen year old son, who accompanied his mother om “Take your kid to work day”. Congratulations again to Charith who placed 2nd in the Humour Speech Contest. 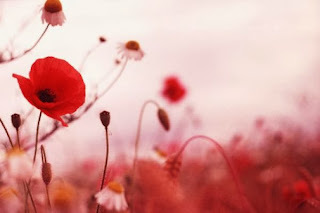 Have a wonderful long weekend everyone and take time to reflect on the peace we share in Canada and remember those that are fighting for theirs.